Andalusia is the perfect place to practise mountain bike, hiking and walking tours. Short as well as long hiking tours at different levels; up to you to choose. Our village “house” mountain Maroma goes up to 2065 m, El Lucero is 1779m high. Choose one of the many hiking tours in the Sierra Tejeda and Almijara and let the breathtaking views into the Mediterranean and the wild birds and mountain goats surprise you. Equally we would enjoy making reservations for you for canyoning, 4×4 trails, quad trips or mountainbike tours, paragliding, horseback riding or speleology with one of our partners. The area is terrific for race biking and even skiing in the Siera Nevada (2 h) is just one of the possibilities. El Torcal (1.5 h) is a protected nature park 100 km away from Cómpeta. The special landscape was curved over millions of years. With a bit of imagination you recognize different shapes and forms in the layers of rocks. From El Torcal you can see till the bay of Malaga on clear days. And of course our list would not be complete if forgot Golf. 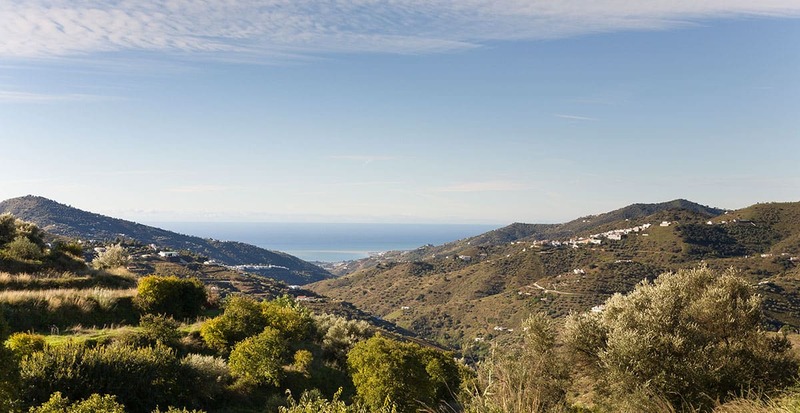 The Costa del Sol is known for its many excellent golf courses where you can play winter and summer. Shortest to our B&B is Baviera Golf (18 hole ) (35’). The caves of Nerja, ‘Las Cuevas de Nerja‘, are just a few km from the centre of Nerja and in the village of Maro. The beautiful cave with its magnificent stalactites is also called the “cathedral of the Paleolithicum”. Thanks to its excellent acoustics, an annual dance and music festival is organized here in summer. In 1959, five boys from Maro town, discovered the caves by accident when chasing bats in a mine shaft. Research by archaeologists and geologists showed that already in prehistoric times, about 30,000 years ago in the Paleolithical times, the caves were used to provide shelter and burry the death. Many rock drawings of fish , horses but also tools and skeletons were found. 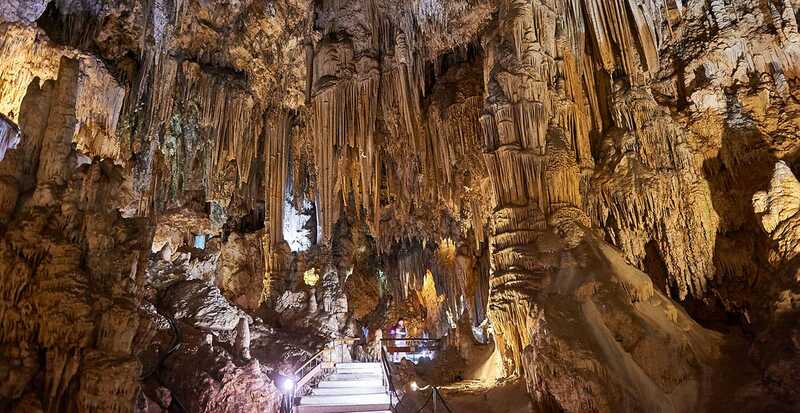 Already one year after its discovery, the caves were opened to the public and since then are listed in the top 5 of must sees in Spain. One of the caves has a stalactite of 32m high, one of the biggest in Europe. The caves expand so wide that it is assumed only 15% of its surface has been discovered till today. The labyrinth of walk ways total up to no less than 5 km.